Extending the boundaries of musculoskeletal care. Welcome to our Orthopedics & Sports Medicine Unit and our world-renowned services for the care of musculoskeletal conditions in adults and children. Our outstanding orthopedic surgeons are leaders in their respective specialties. On the cutting edge of the most significant advances in orthopedic surgery, they help change lives for our patients who rely on them for the best that the field of orthopedic surgery offers. At Zia Medical Center, we are dedicated to providing personal care because we consider it an invaluable component for successful outcomes. All our patients receive personalized attention combined with compassion, respect, and a thorough communication about the diagnosis and treatment options. 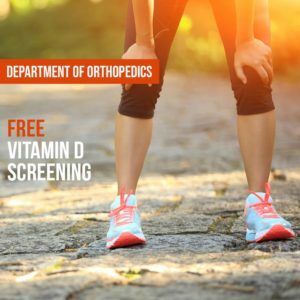 We want you and your family to be as informed as possible about your care-from your first appointment with one of our outstanding orthopedic specialists through all stages of your treatment. We look forward to serving your needs. The orthopedic surgeons are well equipped and experienced to deal with all aspects of orthopedic. The major procedures such as hip and knee replacements, shoulder and knee arthroscopies, limb deformity correction and limb length with external fixates, spinal surgery and pediatric orthopedics are being successfully done. The orthopedic unit provides trauma services 24/7. The rooms of our orthopedic ward in Dubai are well maintained and monitored with meticulous attention to avoidance of infection. The ward is staffed with orthopedic doctors; orthopedic surgeons who are the best in their fields due to years of experience, even the nurses are specially trained in orthopedics. An orthopedic physiotherapist with special training is dedicated for postoperative rehabilitation of patients. Our orthopedic surgeons pay great attention to aseptic conditions. The orthopedic theatre has laminar air flow of international standard to minimize the risk of infection in orthopedic surgical cases such as implant surgery and joint replacement. Hence, it is designed as per the highest international standards. At our Dubai center for orthopedic, we use equipments which meets highest standards. Our state of the art equipment includes an operating table to take X-rays during the surgery. All the instruments used in orthopedic surgery are renewed after every short span of time. Disposable surgical gowns and drapes are used during surgeries to further minimize the risk of infection. The Image Intensifier which is a specialized X-ray machine used to observe the position of bones and implants during operation.